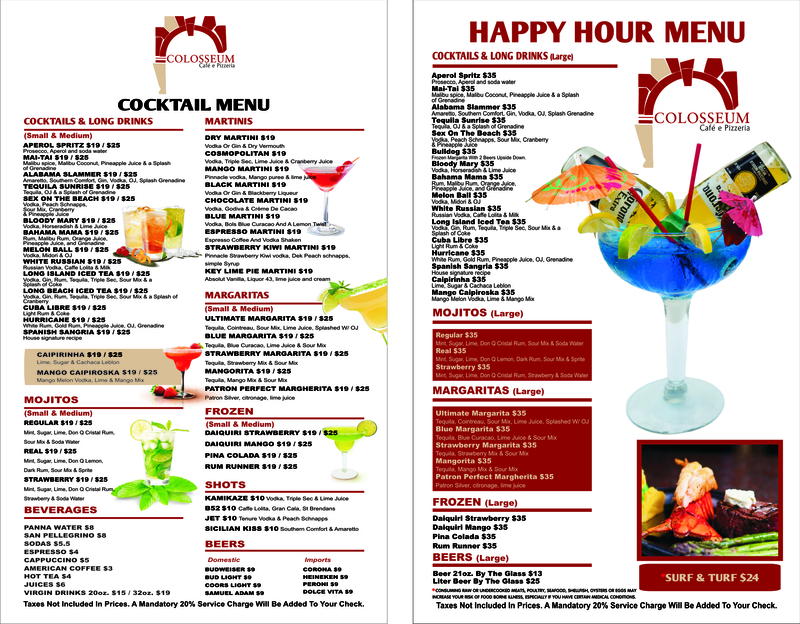 As an option for onsite dining at Bentley South Beach, Colosseum Restaurant showcases the flavors of the Italian Riviera for breakfast, lunch and dinner and offers great people watching views along Ocean Drive. 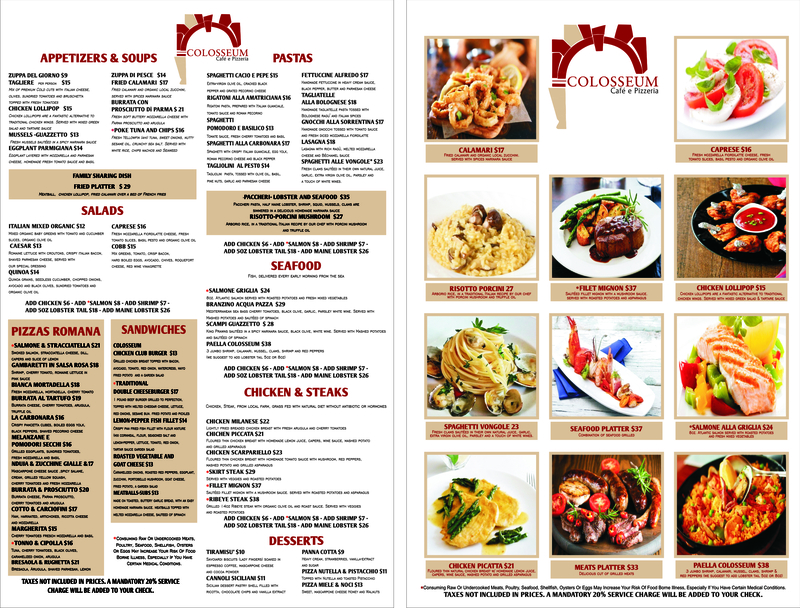 Guests can also enjoy the Italian fare of Colosseum in the comfort of their private guestroom, or on the rooftop pool deck. 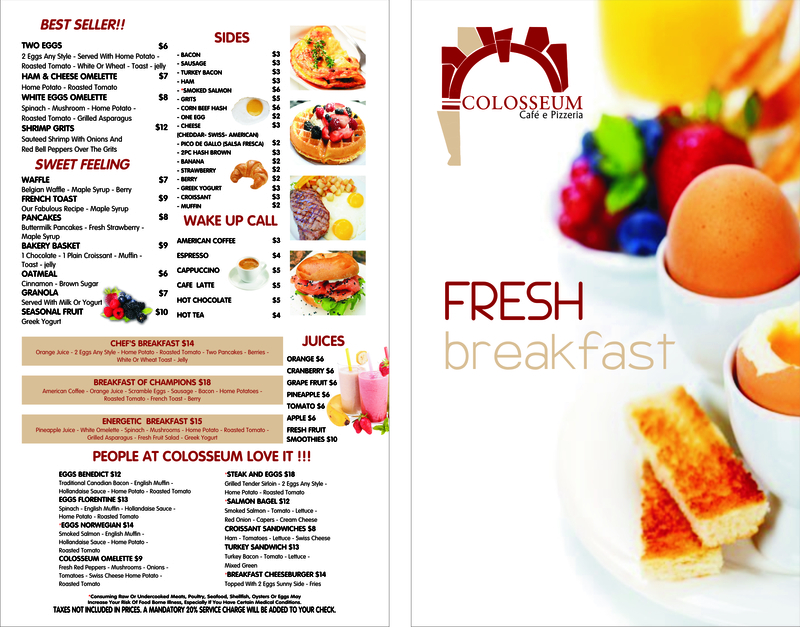 The Colosseum Restaurant is located on the first floor with an entrance door width of 71”. A ramp or elevator is not needed to enter. For more information on accessibility, please view our Accessibility Statement.